Asymmetric necklace. 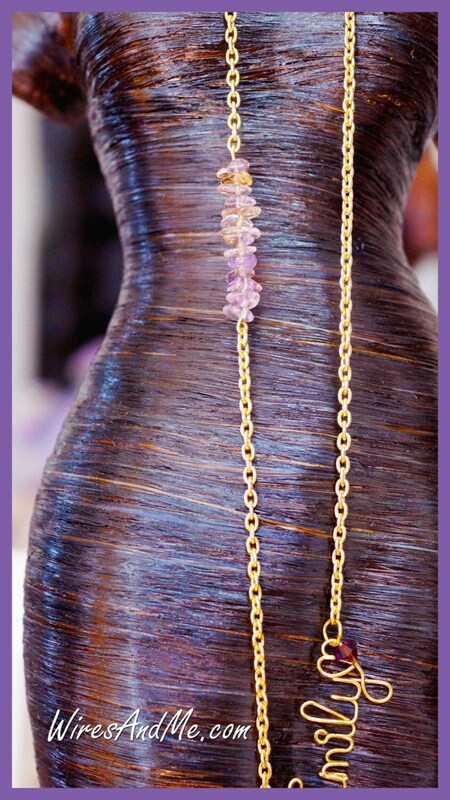 Personalized Necklace with long gold-plated chain, amethyst gemstones, and amethyst pendant and handcrafted wire name. 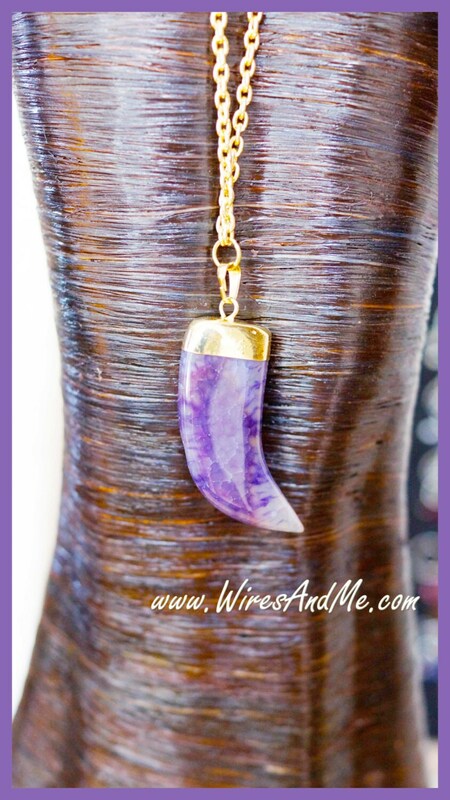 Can be worn even with your simple Tee and Jeans! Custom-made to any name or word you want. 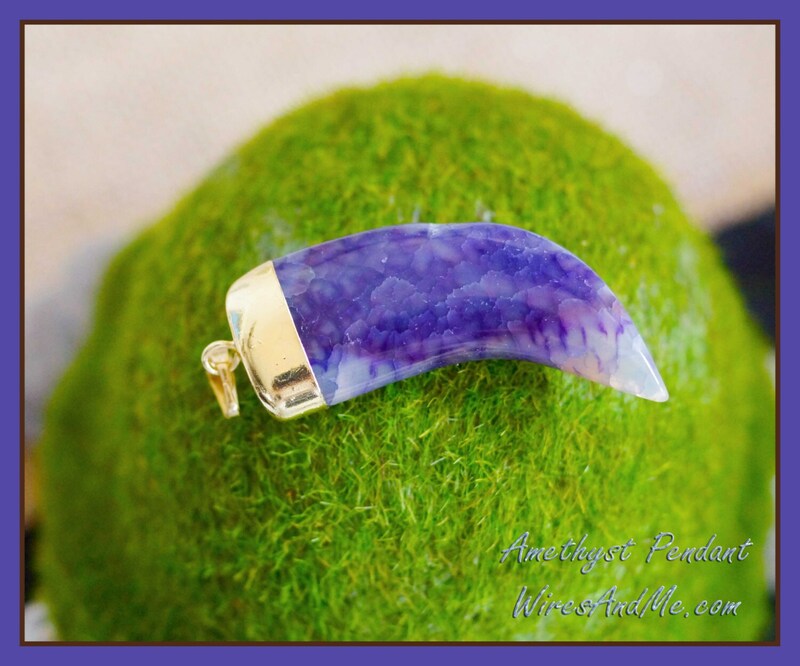 A perfect and unusual gift for any occasion. Comes with beautiful jewelry box for instant gift giving. 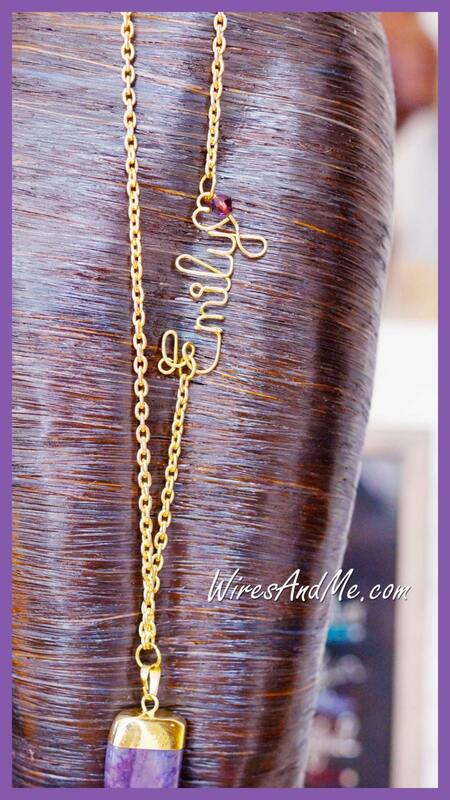 You can choose the wire name pendant metal finish when you add to cart. The chain is in gold tone.